It seemed like only yesterday. All Democrats should have "F" grades from the NRA. And most do. So who doesn't? How much more clueless can Pelosi be to appoint as DCCC chair a dim-witted closet case-- hey, it's 2017, closets are only for clothes and Republicans-- who is still kind of friendly with the gun manufacturers' lobbyists? And, worst of all, who is openly-- not in the closet about this-- pursuing a policy of recruiting and funding Blue Dogs to run for Congress disguised as Democrats. A couple of years before the mass murder in Las Vegas, I saw a Quinnipiac poll that showed 92% of voters favor background checks for all gun purchases-- including even 86% of Republicans! (98% of Democrats agree, as do 92% of independent voters. And on the question of preventing people with mental illness from purchasing a gun-- 89% agree, including 91% of Democrats. Why is this so hard? NRA money and perceived political clout are parts of the reason. At that time, the NRA had successfully prevented any votes on gun legislation to come to the floor of the House since early 2011, and that was an amendment by Blue Dog NRA shill Dan Boren (OK) to prevent federal agencies from even investigating gun crimes committed with semi-automatic weapons. It passed 277-149, with 41 mostly conservative Democrats joining 236 Republicans. Almost all of the Democrats voting with the NRA and GOP that day have since been forced out of Congress, but 18 are still members (16 in the House and 2 in the Senate) and I want to mention three of them. 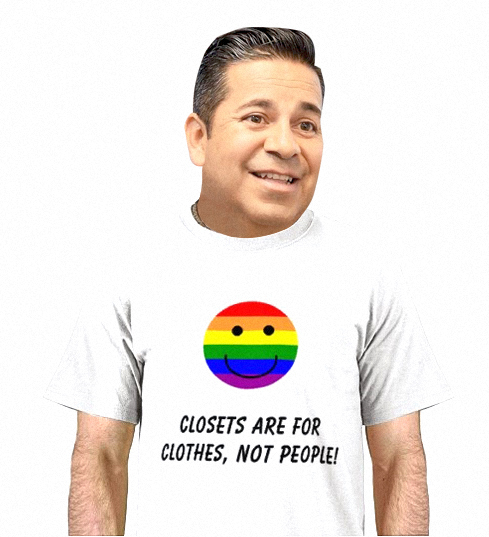 One, Ben Ray Luján (D-NM), is, as you know, now Pelosi's DCCC chair and decides who to recruit for congressional seats and which candidates and incumbents to support financially and which to ignore. I know DWT readers sometimes wonder why the DCCC spends almost its entire budget on conservative candidates and actively discourages and sabotages most progressives. Just add this tidbit to the long list of reasons. And, by the way, the NRA sent Luján a $1,000 check for his support that year. Another was Kurt Schrader of Oregon, currently chairman emeritus of the Blue Dog Caucus, and a proud recipient of NRA cash year after year. Voters in Milwaukie and the suburbs south of Portland, as well as in Beavercreek, Salem, Tillamook and throughout the Willamette Valley, should have reconsidered the support they've been giving Schrader in light of the mass murder at Umpqua Community College in Roseburg south along the 5 Freeway from his district. Without NRA shills in the Democratic Party like Schrader joining with the Republicans to protect and bolster the NRA agenda year after year, those students would still be alive today. As you can see in the new video from Brave New Films above, Schrader was one of the members of Congress they focused on as a recipient of NRA blood money. And the third NRA-Democrat I want to mention is another Blue Dog, Henry Cuellar of Texas. A primary reason gun legislation never gets to the House floor is because it gets killed in committee. 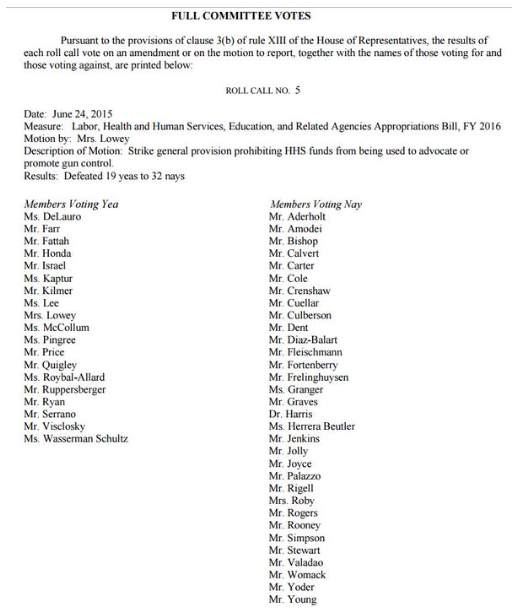 A roll call from June 24, 2015 shows an Appropriations Committee vote on a proposal by Nita Lowey (D-NY) to overturn an NRA legislative victory that prohibits funding for any Centers for Disease Control and Prevention research on gun violence. It was defeated 32-19. Every single Republican voted NO. And almost all the Democrats voted for it. There were two exceptions: Henry Cuellar, once routinely referred to as George W. Bush's favorite Democrat, and Sanford Bishop, a right-wing Georgia Blue Dog who gets thousands of dollars in campaign contributions, endorsements and "A" ratings from the NRA-- in a black-majority district in southwest Georgia (Macon, Albany and Columbus) which Hillary won with 55% of the vote against Trump's 43%. Most of the House Democrats taking NRA blood money have been defeated-- either, like Tim Holden, in primaries where their NRA connection was a factor, or in general elections, like John Barrow, in which Democratic voters refused to keep backing them. The top five House Democrats still allied with the NRA: Collin Peterson (Blue Dog-MN), Sanford Bishop (Blue Dog-GA), Kurt Schrader (Blue Dog-OR), Henry Cuellar (Blue Dog-TX) and Timothy Walz, who is currently running for governor of Minnesota. And if you missed Libby Isenstein's NationalJournal report at the end of August, The States With The Most Gun Laws See The Fewest Gun-Related Deaths, it's something worth reading... if only so you'll have the ammo to beat your Hate Talk Radio addicted brother-in-law over the head with. And take a look at the video Cincinatti City Councilman P.G. Sittenfeld put out about the NRA. At the time P.G. was running for the U.S. Senate against two NRA shills, incumbent Republican Senator Rob Portman and Democrat Ted Strickland, both of whom have careers completely intertwined with the NRA's gun fanaticism. The DSCC and the Ohio Democratic Party did everything they could to defeat P.G. and make sure the conservative, slothful, half-dead Strickland was the party's nominee. They succeeded-- that's what the DSCC is good at-- and Strickland was an unmitigated catastrophe for the Democrats last November. His hideous and incompetent campaign wasted $22,716,182 to win just 4 of Ohio's 88 counties and win just 1,996,908 votes (37.2%) to Portman's 3,118,587 (58.0%)-- while depressing and driving down Democratic turnout, hurting Hillary's vote in the crucial state and hurting down-ballot candidates at every level. That's what you call a Chuck Schumer special! 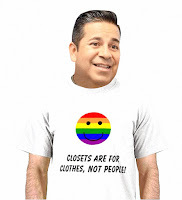 If the Democrats continue to follow Lujan down his rabbit hole, they will start seriously offending the Democratic base. Look at this essay by David Love in the Atlanta Black Star, In a Country of White Domestic Terrorists, the NRA Wants to Make Sure They Are Not Labeled As Such. How long is it going to be before people like Love start adding corrupted conservative Democrats like Lujan to the list-- along with the NRA and the GOP-- of the bad guys? "In the United States," he wrote, "white people are the dominant group that produces homegrown domestic terrorists. The most recent mass shooting in Las Vegas, in which a white gunman named Stephen Paddock opened fire on a concert of 22,000 people, killing at least 59 and injuring 527, is a case in point. Despite the proliferation of these individuals and the extent of the massacres they create, there is a concerted effort by many not to label them as terrorists." People who are Muslim and dark skinned typically are called terrorists, while white American men who engage in acts of carnage are dismissed as lone wolves. Thus, terrorism is rendered a racialized affair, a matter of white skin privilege. Stephen Paddock is responsible for the deadliest mass shooting in modern history, and with 23 weapons recovered from the Mandalay Bay hotel rooms where he staged the attack, and 19 recovered from his home, some would reasonably believe he was a terrorist. Yet, there is no consensus as to whether this is the case. This, as white domestic terrorism is going unchecked as white supremacists, rightwing extremists, militias and others commit a majority of the acts of terror in America--115 out of 201 incidents between 2008 and 2016, as opposed to 63 committed by Islamic extremists and 19 committed by leftwing extremists and militias. The problem is so considerable among law enforcement, if not the policymakers, that the FBI is investigating 1,000 white supremacists for suspected domestic terrorism activity, and has been investigating the infiltration of law enforcement by white supremacists, who are more likely to kill police officers. There are certain forces in society who have an interest in not having white mass shooters labeled as terrorists. 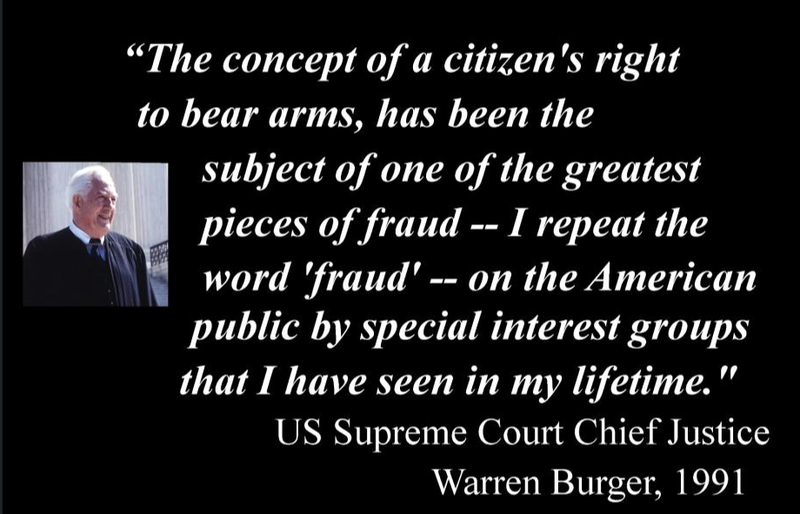 While guns are framed as a matter of constitutional rights, arms manufacturing is also a lucrative business. The gun lobby has an interest in producing more and more firearms with minimal regulation and stopping even the most moderate gun control legislation. Further, many politicians depend on millions of dollars in donations from the gun lobby have a tangible financial interest in normalizing white terrorism. In addition, policymakers who would wage war with Muslim nations also have a vested interest in making terrorism a color-coded endeavor relegated only to Islamic groups. Once a mainstream organization for hunters, marksmen and conservationists, the National Rifle Association has become a hardline Second Amendment absolutist, and perhaps the most successful lobbying group in Washington. The NRA has enjoyed an income boom over the last few years, in 2016 the organization listed its revenue as being over $400 million-- all tax-free for the nonprofit organization with millions in assets and offshore accounts, and whose chief executive Wayne LaPierre earns over $5 million in annual salary. As Politico reported, the NRA rewrote the Second Amendment, making millions of people believe the amendment is about an individual’s unregulated right to a gun for recreation or self-defense. They have accomplished this through strident antigovernment rhetoric, racism and advocating extremist positions such as legalizing the carrying of weapons anywhere, including streets, bars and churches, the use of cop-killer bullets and military-grade weapons. 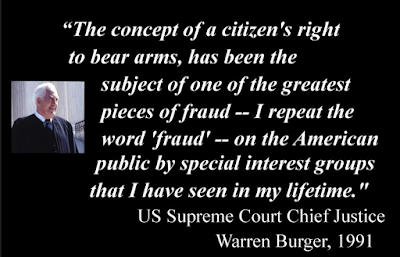 Immediately before the Oklahoma City bombing, which killed 168 people, LaPierre said the then-new assault weapons ban “gives jackbooted Government thugs more power to take away our constitutional rights, break in our doors, seize our guns, destroy our property and even injure and kill us.” This stance caused its former president Richard Riley to tell The Washington Post, “We were akin to the Boy Scouts of America . . . and now we’re cast with the Nazis, the skinheads and the Ku Klux Klan.” President George H.W. Bush resigned from the group as a result. Dan Gross, president of the Brady Campaign to Prevent Gun Violence, even called the NRA terrorists. When asked in 2015 if he would come to the table and negotiate with the pro-gun lobby, he said: “This is not a negotiation with the NRA. We don’t negotiate with terrorists.” The Brady Campaign has argued NRA policies are killing cops by protecting gun manufacturers and dealers from accountability and allowing violent criminals to obtain guns without a background check. The NRA has normalized the amassing of weapons by its white male base by arguing that “the only thing that stops a bad guy with a gun is a good guy with a gun,” as LaPierre once said. 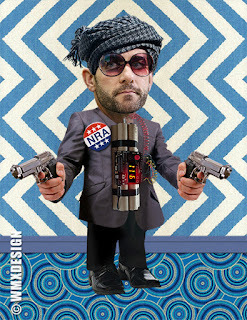 After each gun massacre, the group and its surrogates claim the issue of guns should not be politicized. Yet, the gun lobby is very political, as the primary force behind the Stand Your Ground Laws used to justify the vigilante killing of Trayvon Martin and other young Black men. The organization also donated $30 million to the Trump campaign after enjoying years of painting Obama as a boogeyman–a Kenyan-born secret Muslim who was leading a plot to confiscate all of the guns-- in order to boost gun sales to historic levels. 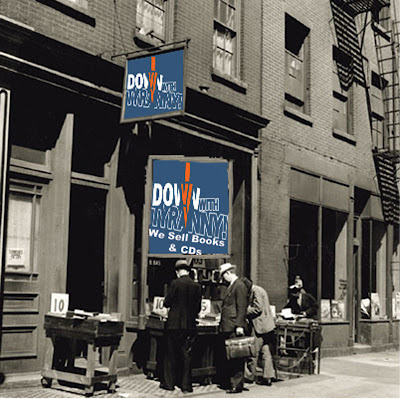 ...In the wake of Las Vegas, Republicans in Congress are so far moving forward this week with the Hearing Protection Act, which would make it easier to purchase silencers by removing them from the list of items regulated by the National Firearms Act of 1934. Part of a larger package called the Sportsmen Heritage and Recreational Enhancement Act, the silencer provision is designed to protect hunters and hunting dog from hearing loss, according to the sponsors of the bill. Gun control advocates argue such legislation would enable mass shooters by making it harder to hear gunfire and locate gunmen. The original hearing for the legislation had been postponed when Majority Whip Rep. Steve Scalise (R-LA) was critically wounded in a shootout during baseball practice in Alexandria, Virginia. Gun control groups are opposed to other NRA sponsored legislation such as the proposed concealed carry reciprocity, which would force each state to recognize the concealed carry standards of every other state, allowing violent offenders to carry hidden handguns. In the wake of the deadly white supremacist violence in Charlottesville, with white supremacists and Nazis intimidating people with their military-style weapons, the SPLC called for states to change their open carry laws. Meanwhile, thanks to the NRA, Congress has now defunded the two decades old Center for Disease Control and Prevention’s gun violence research program, the National Center for Injury Prevention and Control, which seeks to treat gun violence as public health issue so as to determine its causes and ultimately prevent it. In America, where mass shootings and gun proliferation reveal a uniquely American problem, white men are a terrorist threat. But if the NRA has anything to do with it, white men will never be called terrorists. No need to point this out to me. I already knew. In 2009, when the democraps had numbers to do whatever they wanted, they refused also to do this. The R performance after LV proves who and how many (anyone, any number) jesus would blow away using his divine right to own, modify and use dozens of assault weapons to their max efficiency. The LV guy was truly inspired by jesus, so effective and innovative were his methods. What's The Matter With New Jersey? Should Puerto Ricans Welcome Señor Trumpanzee?